Having to conjure up some painful musings after a limp derby defeat is about as much fun as a tooth extraction at the dentist. Pep Guardiola’s City drilled into United’s gums without a numbing injection on Saturday, as Mourinho’s United were well and truly outplayed and outfought on their own patch, with the game effectively won and lost with City applying knockout blows in the first half. United were Brook to City’s Golovkin, how painstaking that first half was to endure. 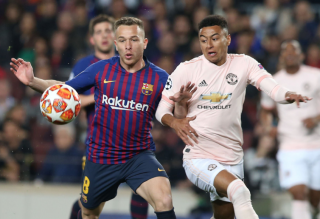 United had, prior to the derby, amassed maximum points from their opening games, with a lineup that was finding its feet and gelling as a unit. A relatively off-colour Anthony Martial and supposed tactical lightweight Juan Mata were consigned to the bench in favour of a duo making their first starts of the season competitively in Jesse Lingard and Henrikh Mkhitaryan. Mourinho’s logic behind selecting those two was their willingness to press high up to nullify City’s attacking full-backs. A decent theory on paper, some might say. Hindsight, of course, is wondrous but to throw them both into the pyrotechnics of a derby battle with next to no match fitness under their belts was callous from Mourinho. He has held his hands up and admitted he got his eleven wrong, it still does not take away the dejection at losing to that lot. 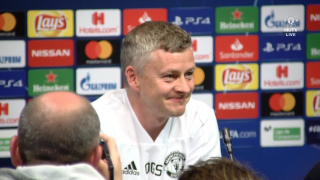 Of course, I cannot claim to any superior tactical knowledge to the manager, but I was championing Marcus Rashford to get a start in the derby. A player in the middle of a golden spell, a symbol of the fearless exuberance of youth that gets United fans on the edge of their seats. A player who is ready to seize his chance and cannot be denied much longer. That United improved markedly when the boy wonder took to the pitch spoke volumes of Mourinho’s selection gaffe and Rashford’s ever impressive ability and confidence. 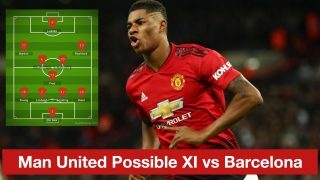 With Guardiola’s compulsion for possession, surely defending patiently and waiting for the opportunity to counter with pace on the break in the form of Rashford and Martial could have been potentially devastating. Lingard was a bundle of nerves and froze on the big stage. Mkhitaryan will be adjusting to the pace of the Premier League and appeared to be hampered by the injury suffered on International duty. The selection was puzzling but it is fruitless harping on about what could have been, Mourinho selected what he deemed to be a team capable of beating City, the team as a collective were pretty awful in the first half and only scored through a keeping blunder from wobbly knees Claudio Bravo, chin up Joe Hart. 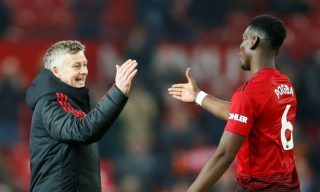 We can analyse certain performances and rip into say, Daley Blind’s amateur defending, Paul Pogba’s penchant for creative freedom going into absurd, ill-disciplined levels, Wayne Rooney’s well… Piecemeal decline. Collectively, this was United losing their heads, succumbing to a City side devastating in possession, punishing United between the lines and on the flanks and, to be quite frank, wanting it more than United. Down recent years, United have allowed City to walk all over them, with some unforgettably humiliating scorelines. When Kevin De Bruyne and Kelechi Iheanacho afforded City a two goal advantage within 35 minutes, another drubbing was on the cards. Zlatan’s stunning finish, after Bravo’s crazy spill, gave United the incentive to step up their game, which they did in the second half. It was still rather a tale of toil though, as United did not exactly ram the door down for all their perspiration. 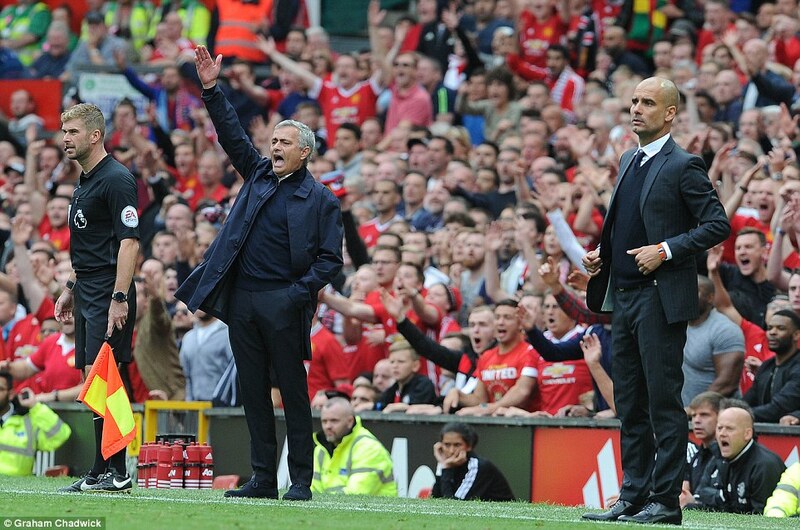 United could not get ahead of steam due to the fact City triumphed in quality and attitude. 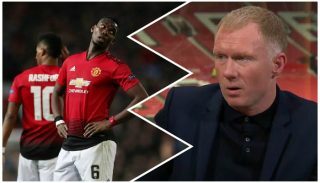 When you see the likes of De Bruyne and the diminutive David Silva, two outstanding creative players, winning the 50-50 challenges against the more physically imposing Fellaini and Pogba, you have the right to ask damning questions. At times, it looked like City were in testimonial mode- passing the ball at will beyond bewildered United shadows. It really was that easy. How bloody horrendous to write like that. It’s a derby, for god’s sake. A lot was made pre-game of United’s ability to win the aerial battle with the likes of that duo and Zlatan having joy against their slighter opponents. Those situations were created not nearly enough, typically United profited from a set-piece which was, without doubt, the area to hurt City. There are a few questions marks from the derby, which my fellow SN contributors discussed at length in our latest Open Warfare: Mourinho, without question, got it wrong on Saturday but there is no grave cause for concern. The place is transforming akin to the United sides of old, a serial winner in charge, winners recruited on the field. The feeling around the place is vastly different and one derby defeat, at this stage of the season, will not be defining. Three points at Watford, after the Europa League exploits in Holland, will be just the tonic to the first-half abomination of a derby.